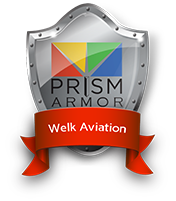 A division of Welk Aviation, the ACA ENG Division maintains 15 years of experience operating news helicopters in Los Angeles – one of the most competitive aerial news-gathering environments in the world. What sets us apart is the ability to provide clients with turnkey helicopter programs that include all of the necessary components for a successful ENG operation: aircraft management/ownership, pilots, camera systems, camera operators and maintenance technicians. News, especially breaking news, happens fast. ACA has compiled an impressive lineup of professional pilots from nearly every facet of the aviation industry. Our highly trained staffers are pros who always come through amid a variety of reporting circumstances and will effectively and efficiently cover a story of any magnitude as it unfolds. This is not just simply about “coverage,” it’s about being able to translate what’s being witnessed into a meaningful, interesting and factual audience experience. 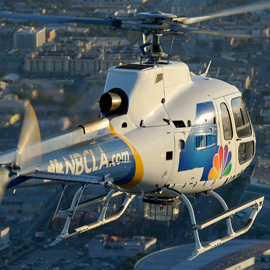 You won’t find a better team of helicopter pilots working in news, motion picture and video production today. 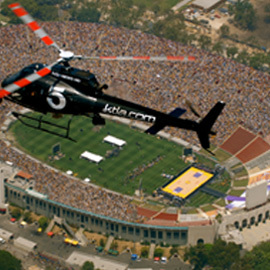 Our renowned team grants KNBC and KTLA exceptional service from an adept team of pilots, photographers and mechanics – all seasoned professionals operating the best equipment and helicopters available today. 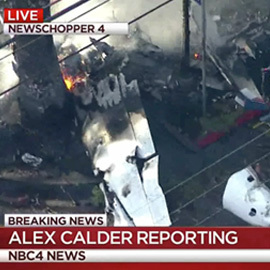 Currently, ACA owns and operates KNBC’s “News Chopper 4” and KTLA’s “SKY5” in Los Angeles, and also works on freelance production and special-project jobs. ACA keeps ahead of the competition by implementing innovative technologies through research and direct access with ENG manufacturers worldwide. Our state-of-the-art equipment translates into exceptional service for our clients, in any sized market. 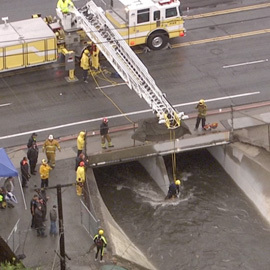 Please call 818.896.9900 for more information regarding our ENG services.